When you head to the field to go flying you should always pack a kit bag containing your paramotor tool kit and a few other essential items. Without a tool kit something as simple as a dead spark plug could spoil your day. In this list you'll discover every tool that you need so that you're ready for any problem that may arise. But first we'll look at a few essential items that you should always keep in your paramotoring kit bag. Spark plugs can suddenly quit so you should always pack a spare. It'd be a shame to miss out on a flight for something so simple that can be changed in under a minute. Make sure you buy the correct plug by matching the number with your current one. It's also worth setting the correct gap on your spark plugs before heading to the field so you can leave the Feeler Gauge at home. A wind speed meter is super handy to have, especially for new pilots that find it harder to judge the conditions. 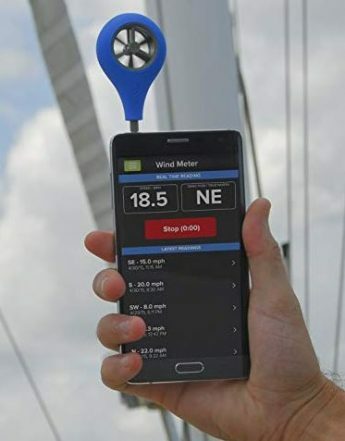 Just hold up the anemometer directly into the wind to get an accurate wind speed reading before you launch. Keep it in your bag for those windier flights! If you fly an electric start paramotor you should always keep a 12 volt battery charger in your kit bag. I learned this the hard way when I travelled 70 miles only to discover my paramotor's battery was flat! A 12 volt charger will plug into your vehicles cigarette lighter socket to save the day. Get yourself a fast charger so that your battery is ready to use as quickly as possible. My helmet has built in ear protection which is great at blocking out engine noise. But after longer cross country flights I noticed that my ears would be ringing once I landed.. I've also noticed that if I'm wearing sunglasses whilst flying the frame will create a slight gap between my head and the ear cups letting sound through. This would make my ears numb even after short flights! So now I always pack a pair of 3M foam earplugs which give a 29dB noise reduction. These fit comfortably underneath my ear cups and I haven't had a problem since. propellers are pricey, but it's really worth investing in a spare to keep in your kit bag. I simple trip can destroy a prop and ruin your day, I've seen it happen lots and it's also happened to me! These are super handy! I was constantly spilling fuel while trying to fill up with the standard petrol can transfer pipe. I was given one of these by Parajet when I bought my Volution 3 and I haven't spilled a drop of fuel since. You simply put the copper end into your fuel can, give it a jiggle and the fuel will start flowing. They roll up to easily fit into your kit bag and they're as cheap as chips. You can find these on Amazon here > Siphon shaker. We've already discovered that a broken propeller can spoil your day, but when a prop breaks it can sometimes take your netting with it. You can learn about the importance of netting HERE. If it breaks you should always repair it before launching. You can make temporary repairs at the field using braided nylon mason line. Mason line is super strong and is perfect for closing up any gaps to keep you flying safe. If you're flying a two stroke paramotor you'll need to pack your oil. I'm always surprised when I see pilots (and riders in my motocross days) mixing oil without using a proper measuring cylinder. They guess the amount by using the measure on the side of the bottle which isn't very accurate. To keep your engine running clean and happy you should use the exact ratio specified by the manufacturer. Get yourself a measuring cylinder, jar, jug, baby feeding bottle, or anything else that gives an accurate measurement. If you're a bit confused by which oil you will need to use in your paramotor, check out THIS POST. If you're flying in unfamiliar airspace you should always check your airspace map before launching. 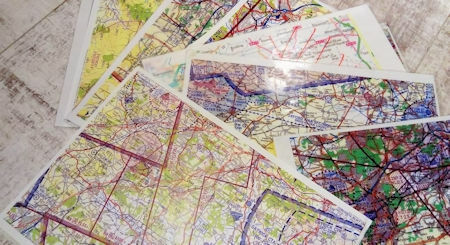 I keep maps of the whole country in my kit bag as I never know where I might end up flying. If you always fly from the same field then this may not apply to you. But cross country and travelling pilots, and pilots attending fly-ins should see this as essential. You can see in the picture that I laminate my maps to keep them clean and tidy making them easier to read. Always keep a roll of wing repair tape with your tool kit as a small snag can easily happen. Things hidden in the grass like sticks, thistles, and brambles can easily tear through a wing. Wing tape is cheap to buy and applying a piece to either side of the tear will keep you flying happily. You can keep a decent torch in your paramotor tool kit for various reasons. If you're landing at sunset it could be quite dark by the time you've packed your kit away. I've spent ages searching for lost parts/car keys etc in long grass with nothing but my phone's flashlight. A nice bright torch will come in super handy and make things much easier. This one probably sounds a little strange but these three are essential items for every pilot's paramotor tool kit. A mixture of super glue and baking soda makes a wonderful quick setting putty that's perfect for small propeller repairs. Once it's dry you can use some very fine wet and dry sandpaper to smooth it off. Water wipes are really handy for cleaning your kit. You can remove the oily mess that builds up on your propeller and wipe away dust. You can also clean mud or dirt marks off your wing before you pack it away. There's certain things/parts that take a long time to fix/change, so you wouldn't take absolutely everything. But anything you think could be changed or fixed in under 30 minutes should be packed. 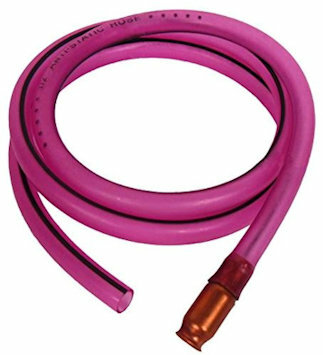 I always pack a spare throttle cable if I'm going on long trips as they're quick and easy to change. I also carry a spare pair of carabiners, it's unlikely they'll be needed but they're small and take up no space. Things like this can stay in a small pocket in your kit bag as a backup, just in case they're needed. When you buy your machine you'll usually receive a basic paramotor tool kit. This tool kit will contain the most common tools required for very basic repairs and assembly. But there are certain essential tools that aren't included which will be listed below. 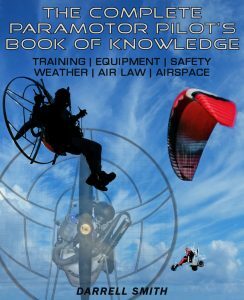 Before carrying out any work on your paramotor frame, harness, or engine you should read the user manuals. If you still don't understand it's best to leave it and seek professional advise rather than risking damage to expensive equipment. If you aren't happy with your work or if something doesn't look quite right then don't fly it. For a full maintenance guide for your paramotor, GO HERE. You'll need a torque wrench for things like tightening the propeller bolts or the reduction belt. Check the specified torque settings for each engine/frame part in the user manual and make a note of them. Keep the note in the torque wrench box so that you'll know exactly how much to torque up your bolts. A small bicycle torque wrench like THIS ONE on Amazon does the job great. You can find out how to choose a torque wrench, and exactly what type you will need for your paramotor in THIS POST. If you need to remove or change your spark plug you'll need a plug spanner or a deep socket. Some of the manufacturer supplied paramotor tool kits will contain a cheap plug spanner, these will work fine. A socket and wrench set is essential for tightening or removing bigger bolts, for example engine mount or exhaust bolts. Hex/Allen key bit sockets are also handy for certain paramotor models. Keep a pair of wire cutters for cutting your braided nylon mason line that we mentioned earlier. You'll also need some scissors for neatly cutting wing repair tape to length. You'll want a spanner set for bolts you cant get to with a socket wrench. You may also need it for tightening/loosening maillon carabiners on wings or reserve bridles as I once did. There are lots of Allen cap screws/bolts on a paramotor so a set of Allen keys are always essential. I also use the ball end of an Allen key for releasing the sprung clips on my Parajet frame. A flat slotted and Phillips screwdriver set will come in handy for carburettor adjustments. There are also lots of screws and bolts on the engine, hand throttle, and frame that may require them. 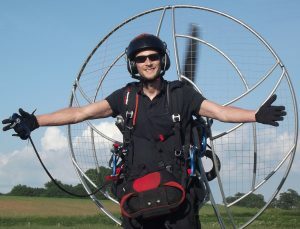 Exhaust springs can suddenly break so you should either replace them regularly or keep spares in your paramotor tool kit. Exhaust springs can be very hard to remove without a puller so keep one in your kit bag at all times. Pack all of these items into your paramotor kit bag and you'll be equipped with a pretty awesome tool kit. If you're working on your paramotor in the field always put down some kind of mat or sheet, this will ensure you don't lose any parts in the grass. It's also worth putting any removed nuts or bolts into a pot to keep them safe until you need them. 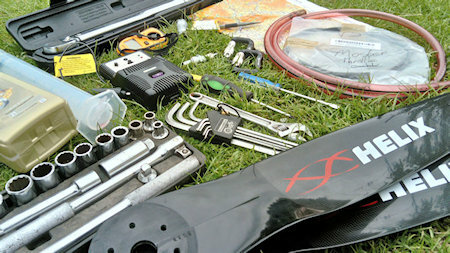 Now you've got the paramotor tool kit sorted you'll need some equipment! Find out everything you'll need to get before you can start flying > HERE. If you can think of any items that I missed make suggestions below in the comments so I can add them to the list to help other pilots. Enjoy packing your paramotor tool kit, happy flying! Find out a few helpful tips that you weren't told during your paramotor training HERE.